As you know, we're big fans of the rapidly reorganizing consumer economy here at Sunstone Capital. 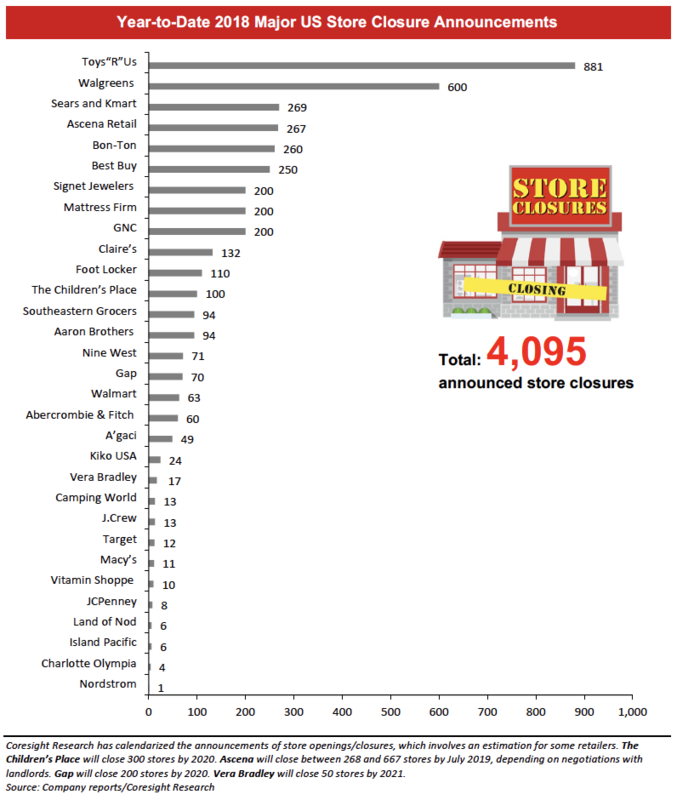 Though admittedly some of it makes us very nostalgic (I loooved Toys "R" Us *sniff*). ...consumer preferences seem to be fragmenting. The large, homogeneous Western middle class which was the mainstay of consumer packaged goods (CPG) brands has split in two. At the bottom end, private labels are booming, with consumers increasingly utilitarian and looking for value. At the top, the preference is for quality, authenticity, and meaning - with tastes skewing small and independent. Large CPG brands are being squeezed in the middle. ...Big is less and less better. Previously, brand scale conferred huge advantages in pricing power, margins, access to supply chain, and retail ubiquity. No longer. An economically, commercially, and environmentally more literate and conscious consumer increasingly distrusts big brands. Emerging affluent tastes are natural and organic, while the poor or disillusioned prefer the honesty of unbranded commodity. 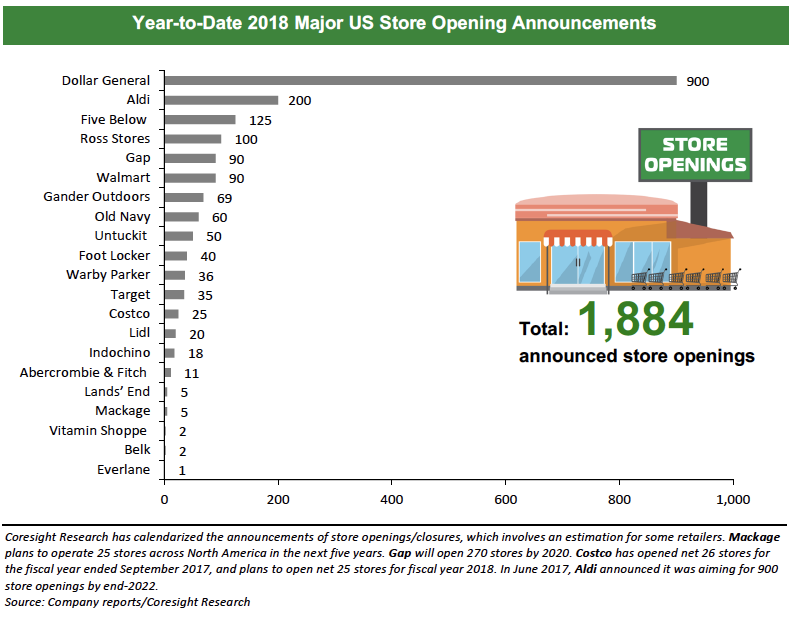 We think this is only the beginning - retail is poised to keep changing over the next decade. Richie Siegel of Loose Threads has an interesting post as part of his (paid for) Loose Threads Espresso newsletter: Do DNVBs exist anymore? Revisiting the buzzword. The main thrust of the argument is that with rising acquisition costs Facebook has become the ultimate "middleman": by some report, Facebook CACs have risen as much as 17x between 2011 and Q1 2018. The response of many "online first" or "born digital" brands has been to move to omnichannel more quickly, reflecting the better economics of the retail channel (no online acquisition, no logistics cost). The core challenge is thus that the better contribution margins attributable to the "vertically integrated" (relative to retail ecommerce) brands are eroded significantly. The "variabilization" thesis, in which all parts of building an online brand are essentially variable cost, does not hold true because scaling on Facebook itself has become cost prohibitive. I think this is largely true, but with one major caveat. Online or "digitally native" is still both the best and most cost-effective way to experiment with building a brand before scaling it. Especially brands built using an existing community, a Kickstarter project, or organic tactics like PR, are able to validate their product-market fit before raising significant capital. 3. capital abundance, providing higher willingness to spend a dollar per revenue generated (and thus, perhaps, enterprise value) than in previous years. Of course the latter will depress returns (hopefully just for investors rather than founders), but it still means it's possible today to build rather large businesses in verticals that have previously been ignored as too capital intense. When that music stops is anyone's guess. Many of our portfolio companies take a blended view of acquisition costs. While Facebook by itself is prohibitive, we see that it can be a cost-effective touchpoint along a purchase journey that frequently can't or shouldn't be attributed to the last click. I love Loose Threads which, along with 2PML and Lean Luxe, is a required read these days. 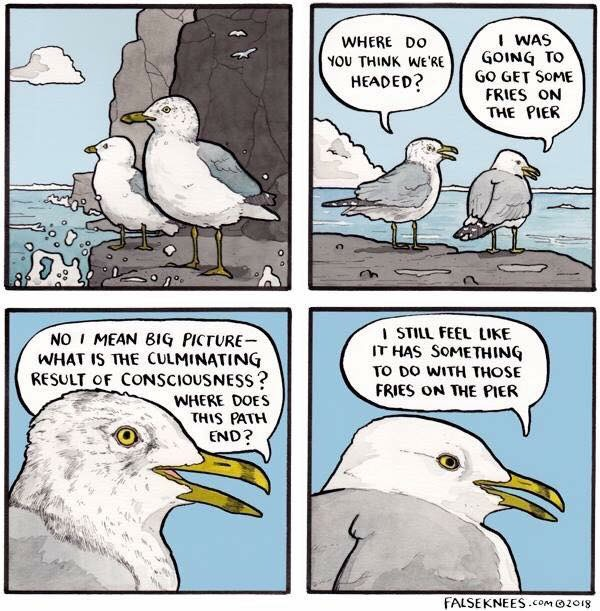 This summarizes my wife’s and my differing ontological approaches. The pioneer is always in a minority of one. I don't know whether that's a quote I should be attributing to someone. But to me it is the essence of the visionary founder story. Even after you have followers, investors, employees... to pioneer can be a very lonely business, indeed. Creative individuals are frequently branded by the collective as asocial. This is particularly true in European countries, some of which are oppressively collectivist. From Janteloven to the pervasive envy of German society to state-sponsored innovation in France, Europe suppresses the strong individualist consciousness in a range of pernicious little ways. I can't fault the European founders who John Galt it out of here (frequently to YC). The creativity of human consciousness is threatened by few things, but religious or ideological or political totalitarianism is one. And so I find what is happening throughout the Western world disheartening. Because it isn't just crazy Republicans, and Trump, and ethno-nationalism. It's also gender theory gone wild, radical sentimentalism, and social media lynch mobs. Both sides seem to be self-radicalizing. And no, this isn't false equivalency and I'm not siding with "the Nazis." Grow up. Such fixations lead to a sterility in human consciousness and a lack of creative progress. So far as humanity as a whole is concerned, I am not worried because these things tend to be provisional. At times, perhaps, necessary to integrate and transcend. The human project as a whole has an assimilative vitality that tends to win out. But as someone who is primarily backing "heroes", i.e. individualists on their startup journeys, I can see how the ideas are getting more incremental, more fearful, more tactical. And I attribute that in large part to the cultural moment we are living through. I am very happy when I see stories about the burning man generation, because it is just this sort of free-thinking that is needed for ideas to stay big. Happy 4th of July, Americans. Half a year has gone by and I've made 117 posts on this site, which is 10% below my target of 70% of days (personal OKR). June especially has been shameful with four posts. I just felt like some of my last posts were trite. Perhaps it would be better to do twice a week and aim for quality instead? I'm delighted that for the first time ever I backed a cold inbound company. That was on the back of the switch in focus to DTC/DNVB. Who says blogging doesn't work? So here's to a better blogging H2. I'll block time in the calendar every day this month and let's see how that goes. Tips and tricks and suggestions, just comment below. One of the Peterson rules that resonates most deeply with me is that of setting your own house in perfect order before you go and criticize the world. Buddhism advises us to first establish in ourselves what is proper before instructing others. That Kondo book - the life-changing magic of tidying up - says basically the same. In reference to the post yesterday, much of what politics and political expression is today is the unfiltered projection of folks who don’t have their own house in order. Might be sensible to revisit that. Last week I was asked to participate in a discussion panel on Brexit and its impact on the technology industry in the UK. The conference organizer explicitly asked me to make the case for leaving. I was tempted. It’s a great conference and would have been a nice excuse to see people. On balance I believe for the UK tech industry remaining in the EU would be better. But there is a legitimate and somewhat subtle case to be made that the EU has become unwieldy, undemocratic, and overreaches legislatively (GDPR, copyright), which directly impacts our industry. On reflection I’m not a British citizen or resident and this is primarily a UK policy decision. I’m also not a Brexit expert and would likely get some things wrong. More importantly, however, it’s a losing proposition in these polarized times to take any nuanced position that could be reduced to a tweet of “X is for Brexit! and probably anti-immigration and thus probably racist, too!” And so I passed on speaking at the conference. I wonder how we will foster a new discussion culture or whether this is the future. I hope not. A few people asked about the talk and since I seem to have trouble posting at the moment, I thought I'd make a little video. Not 100% sold on the quality and obviously these are more musings than truth, but it's only by being vulnerable and putting myself out there that I grow. Happy to have any comments / questions. I'm a huge fan of Fred Wilson's. He has made time for me when I needed guidance both as a VC and a founder. And I've read his blog, on and off, since he started. I remember when he started because I was running Myblog.de, a blogging software company, at the time. I tune out a bit when Fred gets political. I think it's perfectly understandable to be left-of-center in the US, just as I think it's more sensible to be right-of-center in Europe. I'm a Burkean conservative at heart, though the current GOP would consider me a RINO. I like to think we share the same transcendent values, though he'd likely call them humanist. 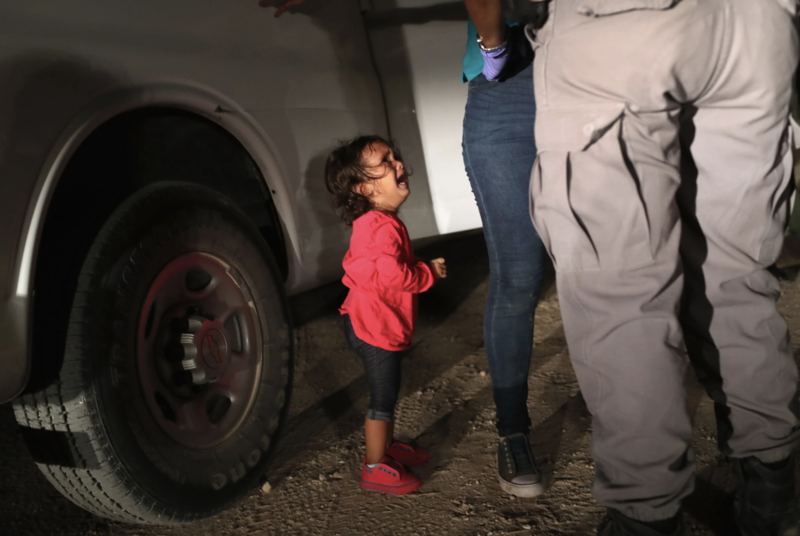 Fred has a post today - on US Father's Day - on the policy of separating migrant children from their parents at the border. And I think you can agree with this administration on some things, and disagree with it on others. I sympathize with the concerns of Trump voters rather than hold them in contempt. And I'm highly suspicious of the SJW thing. But forcibly separating children from their parents is insanely evil. It is nihilistic in the extreme and reminiscent of the unspeakable evil that we did in the 20th century, from Nazi Germany to the Gulag to Maoist China. It must be stopped and it must be stopped today. I'll often follow arguments about how some policies "look" bad but are actually sensible. And I do think there's massive lobbying and PR work at play here. But that doesn't change the facts that a civilized country is forcibly separating kids from their parents and it's just plain wrong. Whatever pressure you're able to apply, now is the time to do it.